Arnold Returns with a Cartoon Show! We all love Arnold Schwarzenegger, iconic action star known for his roles in The Terminator, Conan the Barbarian, and True Lies, before venturing into politics as California governor. Arnie has ended his term as governor late last year and has recently announced his intentions to return into acting, even boasting that he is presently being courted for more than fifteen films. Here’s to hoping big bang action flicks make a comeback! But before returning to live action projects, the 63-year old actor is first going to be a cartoon superhero known as The Governator – celebrity man by day and high-tech crime fighter by night. 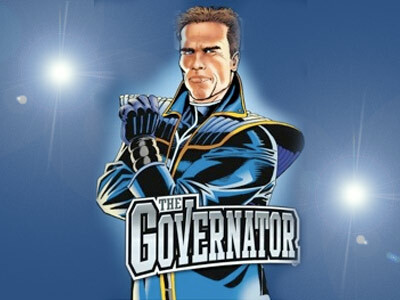 The Governator will have its own animated TV show and a comic book slated to be released next year, and is being co-developed by Spider-Man creator Stan Lee. According to the Marvel Mogul, Arnold’s cartoon alter-ego will have a semi-fictional story. Arnold himself told fans to expect this upcoming cartoon to combine several elements of his life, including being a governor, Terminator, and champion bodybuilder. “Only after he leaves the governor’s office, Arnold decides to become a crime fighter and builds a secret high-tech crime-fighting center under his house in Brentwood,” Lee reveals. Arnold’s wife and kids will also reportedly make an appearance in the show. Together with his 13-year old sidekick Zeke Muckerberg, The Governator aims to fight off enemies such as the evil organization called Gangsters Imposters Racketeers Liars & Irredeemable Ex-Cons, also known as the G.I.R.L.I.E. men. "I love the idea of a control center below my house with a path so that boats and submarines can go right into the ocean," Schwarzenegger adds. Happy for you, Arnie. All we can say is we hope this ain’t no April Fools joke. Other than that, a big hurray for Ahnuld! And a big hurray for The Governator!